“E.T. The Extra-Terrestrial” came out in 1983 for the Atari 2600, and was a total flop. 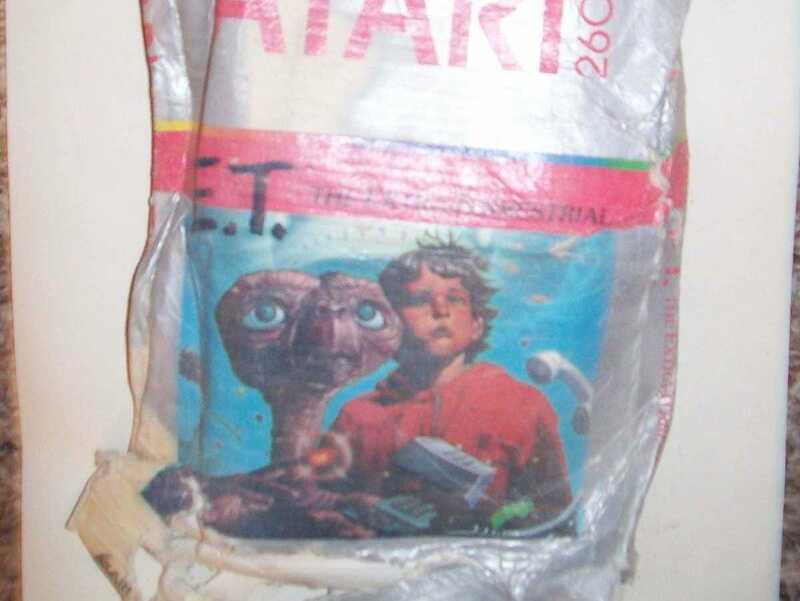 Legend had it that Atari was so embarrassed by the failure, it went to the New Mexico desert and buried the unsold cartridges there, hopefully erasing the failure from everyone’s mind. But nobody knew for certain that the cartridges were there until in April, Microsoft went to the site and dug them out. Millions of cartridges were unearthed, and the legend was put to rest. Now those cartridges are available on eBay. The city of Alamogordo, New Mexico, is auctioning them off, and if you hurry, you can snag a copy of one of Atari’s biggest embarrassments for around $US100, all the way up to more than $US800.